What would the world look like if only 20 percent of women knew how to write? How many fewer great books would there be? How many important stories would go unreported? How many innovations would we lose? How many brilliant women would be unable to fulfill their potential? That’s not just a theoretical question. Today, only a small minority of women know how to write code. That limits their ability to participate in a growing part of our global economy. It limits their ability to affect change as entire industries are transformed by technology. 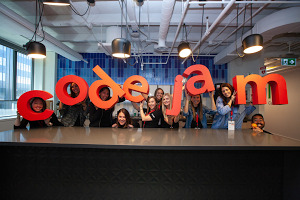 And it limits their potential to impact millions of lives through the power of code. To change this trajectory, we need to do all we can to inspire women and girls that learning to code is critical to creating a brighter future for everyone. 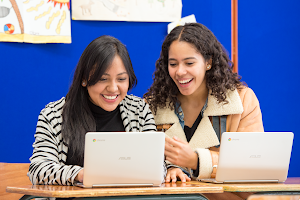 That’s why I’m excited to share that, today, Google’s Made with Code, together with YouTube, is teaming up with the Global Citizen Festival and millions of teen girls to ignite a movement for young women to change the world through the power of code. These women are doing big things, blazing a path for the next generation of girls, but they can’t do it alone. The vast potential around using code to improve the world cannot be realized if there are only a few voices influencing how it’s shaped. That’s why, today, we’re inviting teen girls everywhere to join the movement. Our new coding project gives young women a chance to make their voice heard by coding a statement about the change they want to see in the world. These coded designs will be displayed onstage at the Global Citizen Festival, as symbols of the many different voices from teen girls, standing up for the change they want to see in the world. Our efforts go well beyond this project. Made with Code is joining forces with Iridescent and UN Women to support the launch of the Technovation Challenge 2017 which gives girls the opportunity to build their own apps that tackle the real-life issues they see around them. Please tune into the Global Citizen Festival livestream at youtube.com/globalcitizen on September 24 to catch all the action. And, more importantly, join us and encourage the young women in your life to try out coding and contribute their ideas for how to make a better future.